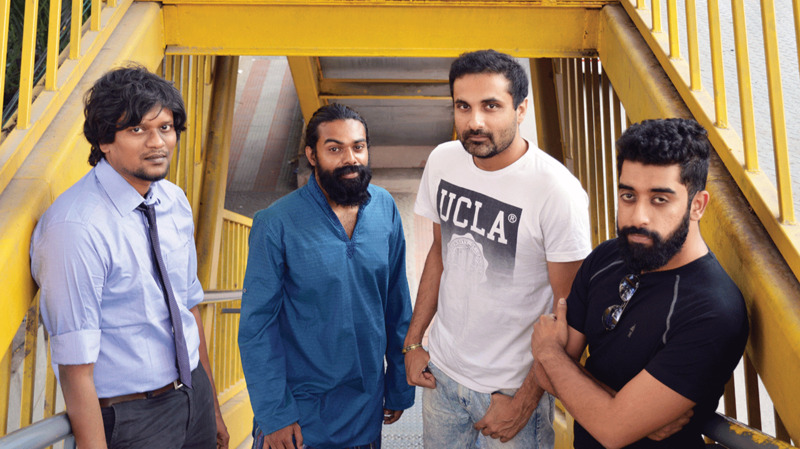 Rainburn formed in 2011 in the metal-obsessed city of Bangalore, and are on the heavier end of the prog spectrum. Their music is an amalgamation of Pain Of Salvation, late-career Death, Rush and Shakti, built on the bedrock of Iyengar’s nuanced guitar work. Rainburn’s exquisitely balanced debut EP, Canvas Of Silence, reveals a breadth that extends far beyond the constraints of the prog metal label. Although many of the genre’s standard tropes are present – what prog metal band worth their salt doesn’t have a riff in 13⁄8? – what sets Rainburn apart are some of their more unusual influences. This includes Bangalore’s ubiquitous Carnatic music and the subtlety of which it’s incorporated into their sound. Last year saw the release of the live single Elusive Light, which was recorded on the Progworks On Wheels Tour, and a new single, Merchant Of Dreams is due out in May. In the meantime, the band are working on the follow-up to Canvas Of Silence, which Iyengar assures Prog will be out next year. Rainburn are certainly keeping India’s prog wheels well oiled!